In the group B fixtures at Eden Gardens, Pant made mockery of the 146-run chase as his 33-ball 58 (7x4s, 3x6s) saw Delhi cruise home with 5.4 overs to spare. 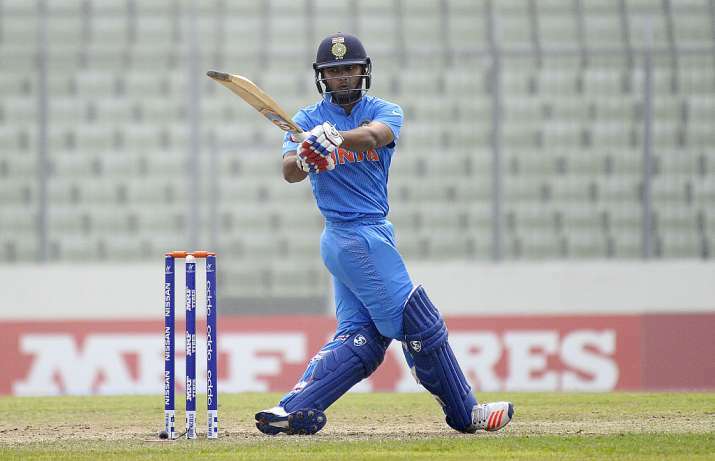 Rishabh Pant cracked a fourth successive fifty-plus score to lead Delhi's eight-wicket rout of Tamil Nadu while Baroda, Mumbai and Punjab also secured wins in their respective Super League matches of the Syed Mushtaq Ali T20 Trophy on Sunday. In the second group A match, Virat Singh's sterling 81 off 49 balls (3x6s, 6x4s) went in vain as Jharkhand faltered while chasing 171 to pave the way for Mumbai's 13-run win. In the group B fixtures at Eden Gardens, Pant made mockery of the 146-run chase as his 33-ball 58 (7x4s, 3x6s) saw Delhi cruise home with 5.4 overs to spare. Pant, who hit his sixth T20 half-century, later limped off the ground after sustaining an ankle injury but coach KP Bhaskar said it was minor in nature and he would be available for their match against Baroda on Monday. Opener Gautam Gambhir, the two-time IPL winning Kolkata Knight Riders skipper who was released this season, made a run-a-ball 21 (2x4s, 1x6) and along with Pant put on 43 runs off 33 balls for the opening wicket. Put in, Tamil Nadu scored 145 for seven with captain Vijay Shankar leading from the front with a 57 not out off 48 balls (4x4s, 3x6s) and along with Baba Aparajith (45 off 32, 7x4s) put together 92 runs to rescue Tamil Nadu from 37 for 3 in 5.1 overs. However, it was a heartbreak for home side Bengal, who choked under pressure as Baroda secured a 19-run win under floodlights at the Eden. In reply to Baroda's 149 for nine, Shreevats Goswami (58 off 43 balls; 6x4s) kept Bengal in the hunt before his run out in the 17th over derailed their chase. Left-arm pacer Lukman Meriwala (3/26) ripped the Bengal's top-order before Krunal Pandya's 3 for 14 helped Baroda bundle out Bengal for 132 in 19.5 overs. Mumbai: 170 for 5 in 20 overs (Siddhesh Lad 46, Aditya Tare 45, Suryakumar Yadav 33 not out) beat Jharkhand 157 for 7 in 20 overs (Virat Singh 81, Saurabh Tiwary 32) by 13 runs. Tamil Nadu: 145 for 7 in 20 overs (Vijay Shankar 57 not out, Baba Aparajith 45, Kulwant Khejroliya 4/26) lost to Delhi 146 for 2 in 15.2 overs (Rishabh Pant 58, Nitish Rana 34 not out, Dhruv Shorey 28 out; Washington Sundar 2/32) by eight wickets. Baroda: 149 in 20 overs (Vishnu Solanki 26, Deepak Hooda 22; Sayan Ghosh 3/37, Manoj Tiwary 2/25, Kanishk Seth 2/26) beat Bengal 132 in 19.5 overs (Shreevats Goswami 58; Lukman Meriwala 3/26, Krunal Pandya 3/14) by 17 runs.